Stunning very high grade pearl pendant made with a lustrous, smooth creamy 15mm coin pearl reflecting various subtle overtones of pink and green. Inspired by the elegant Grace Kelly - just for when you need something beautiful yet subtle to wear. 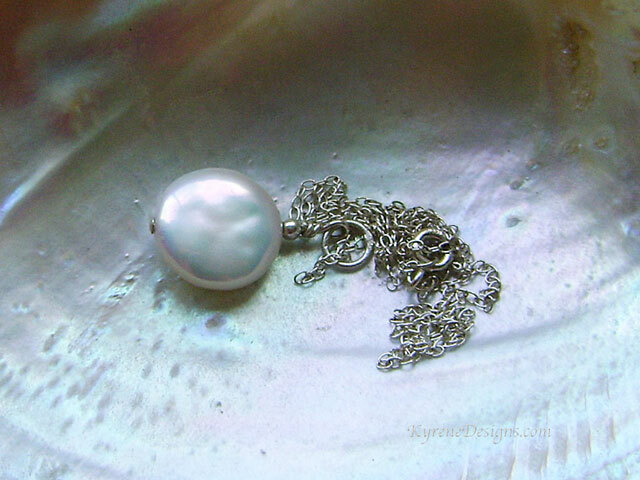 Matches the Grace pearl earrings for the perfect gift or wedding jewellery. With 18" sterling silver fine chain. 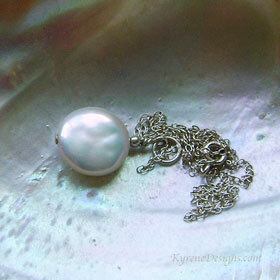 You will receive a similar pearl.